The Proactiv 3 Step Acne Treatment System comes with the 4 oz. bottle of Renewing Cleanser (Step 1), 4 oz. bottle of Revitalizing Toner (Step 2), and a 2 oz. bottle of Repairing Treatment (Step 3). This small amount should last the average user 60 days. 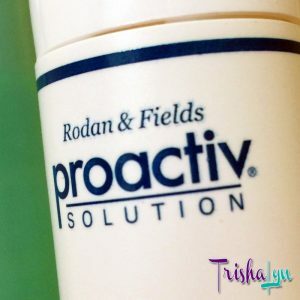 Proactiv was developed by dermatologists Katie Rodan and Kathy Fields and first marketed in 1995. While the basic 30 day set with 2 oz. and 1 oz. bottles generally is advertised for around $20, the 4 oz. and 2 oz. 60 day system retails on Amazon for $56.95. As I mentioned, way back in 1998 or so I had a friend that used Proactiv and raved about how great it worked for her. I saw the change myself – she never had horrendous acne, but it was pretty average. In a few months, she had clear, porcelain skin. I couldn’t talk my parents into getting some for me to have this Cinderella-like transformation for myself, but trying it was always in the back of my mind. The kit I was sent did not come with instructions, but with clearly labeled steps, it was pretty self-explanatory. I used the Proactiv 3 Step Acne Treatment System, all 3 steps, for a few weeks. Having gone from using a facial scrub for many years, I liked that the Renewing Cleanser had a bit of grit in it. I feel like I need that little bit of exfoliation help. I used about a nickel-sized portion every other day. I was using more toner than I expected to use just to cover my whole face, so I’m not sure if the whole set would really last 60 full days. The first day, it was fine, and I followed it up with the Revitalizing Toner and Repairing Treatment moisturizer as instructed. The second day I used it, the cleanser irritated my skin a bit and the moisturizer burned for a few minutes. The third day, it burned again. The fourth, it didn’t burn. The Revitalizing Toner never burned, in fact the toner soothed it a bit. So I expected that, after I kept using it, the burn would go away. But it didn’t; it kept coming back every now and then. Some days it would be fine, and other days my skin would be irritated mostly after use, and then even after the toner and the mild sting of the moisturizer. Worst of all, I never really saw any noticeable results. My breakouts did not seem to lessen. The moisturizer smells like “old lady” cream, which I don’t know what the exact scent is, maybe rosewater? The irritation and the smell just didn’t make me want to keep using it, and since I wasn’t seeing any results, continuing just didn’t seem worth it. Because of this, I didn’t stick with the routine for 60 days. After about 15 days of use I decided that Proactiv just isn’t for me. I’m on the fence about my verdict here. It’s possible that I don’t truly have acne and so the medicine in Proactiv had nothing to really work on and was too strong for my combination skin, hence the irritation. It also does not claim to be a silver bullet, curing acne for everyone, so I can’t say that it let me down on face value. 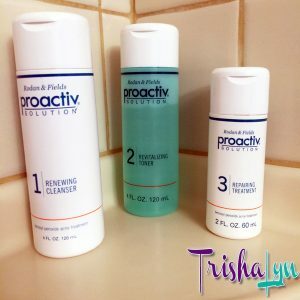 If I knew 100% sure that I have clinical acne, I’d feel more confident recommending (or not recommending) the Proactiv 3 Step Acne Treatment System, but since I don’t, I think it’s best for you to try it yourself. The treatment system has been advertised in the $20 range for almost 20 years, with assorted perks like cleansing brushes and body scrubbers, so it’s safe to say that if it’s something you’ve been thinking about trying for awhile, there’s no time like the present to give it a shot. You may get the Cinderella-like porcelain skin I was looking for!